In later life, it becomes important to ensure our loved ones can enjoy a high standard of living while also having access to care as and when required. Social care options have grown in recent years, and retirement villages have become an attractive option for seniors looking for a lifestyle transition. So what are retirement villages? How are they run and what do they have to offer residents that traditional care homes simply can’t? 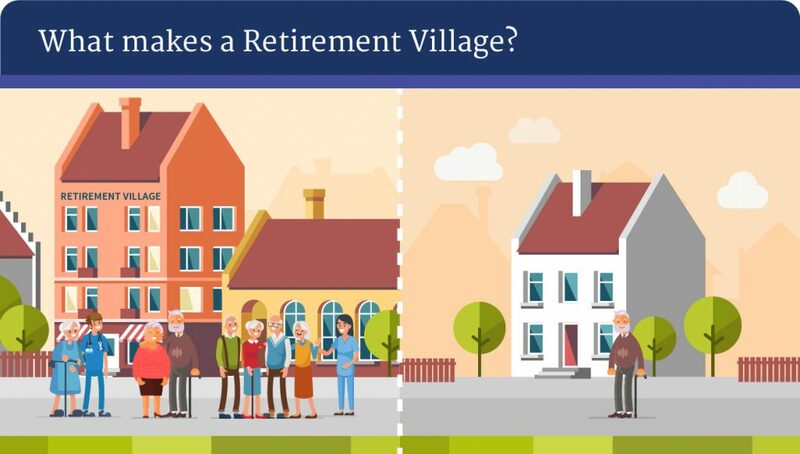 What makes a retirement village? Retirement villages are built around independent living inside a social, active community setting. They’re built to serve all the needs of residents who may require some later life care, but still wish to maintain that sense of freedom, independence and sociability. Health – Not only do residents want to maintain a healthy lifestyle, but they also want to know they will have the right care options should they need them. Community – Isolation can be devastating in later life, so a sense of community spirit and a social lifestyle is essential for a happy day-to-day life. Independence – If a resident feels that independence is encouraged, and they aren’t constantly being overwatched or hand-held, it helps them to feel more comfortable and in control of the environment. This can be essential during that initial transition period. Retirement villages keep these three factors in mind at all times, providing residents with all they need to enjoy a free, happy and healthy lifestyle. Naturally, a retirement village will also be complemented with plenty of greenery, including public and private gardens for residents to enjoy in peace. Housing is also reminiscent of a village setting. Most retirement communities are made up of a range of housing options, from apartments to larger houses. 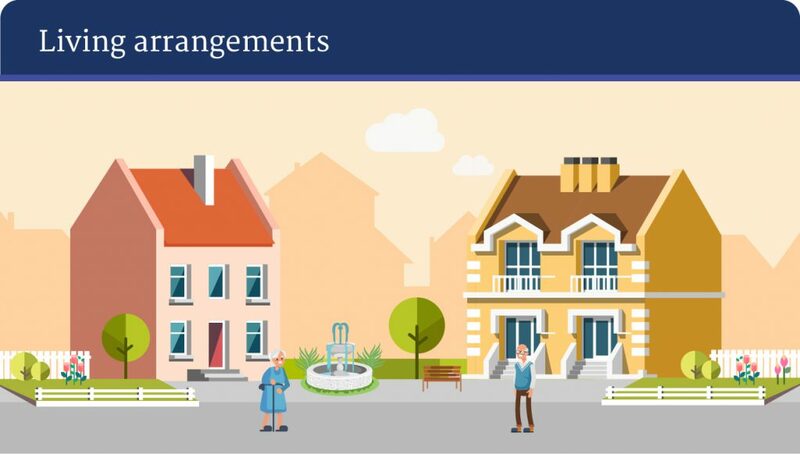 Most villages operate on a leasehold arrangement, but some also offer rental properties, and all properties are tailored to the changing needs of residents. Ideally, a retirement village will take some of the principles of care home design and employ them around the village, in homes and social areas, to ensure each space offers the right level of support, privacy and amenities as needed. It’s this fundamental design approach which allows retirement villages to offer such a diverse lifestyle for every resident. Retirement communities are also not gated – residents can come and go as they please – despite being secure. This freedom is integral to the philosophy of a retirement village – and independent living in general. For dedicated care villages – such as one catered exclusively for dementia patients – access will be controlled and restricted, so as to maintain the correct level of care and safety for residents. As you might expect, the design approach to a retirement villages relies heavily on insight into the needs of its residents. Pets allowed – Pet ownership can prove a true benefit to residents, so animal companions are not only allowed – they’re encouraged. 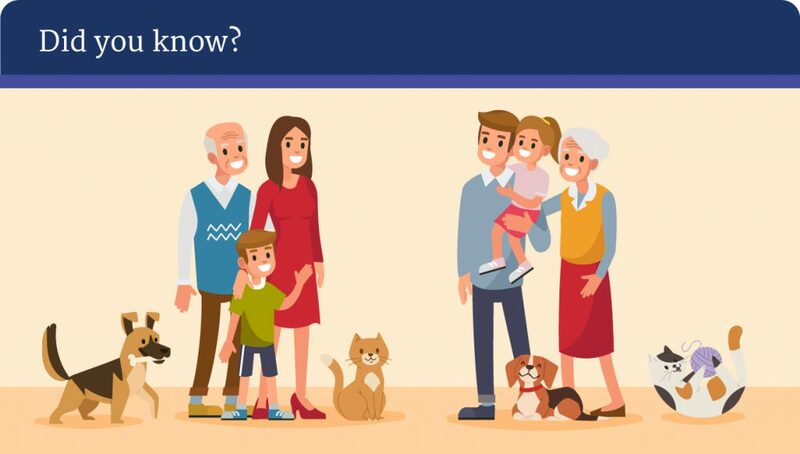 Guests and visitors welcome – Whether for birthdays, Christmases or just for a catch up, residents are welcome to have guests stay over with them, helping to maintain that connection to family and friends. Activities all year round – Events and activities are scheduled regularly, and residents are free to engage whenever they wish. These can be as simple as painting classes and movie nights in the village to organised day trips to the beach or zoo. The community – Like an everyday village, it’s the community which is the lifeblood of retirement villages. Whether making new friends, working on allotments together, or simply minding their own business in the privacy of their home, the sense of the community is one of the main strengths of a retirement village. And it’s one that can be leveraged as and when a resident wants. 24 hour emergency care – Some villages might have a care home on site, but this isn’t common. 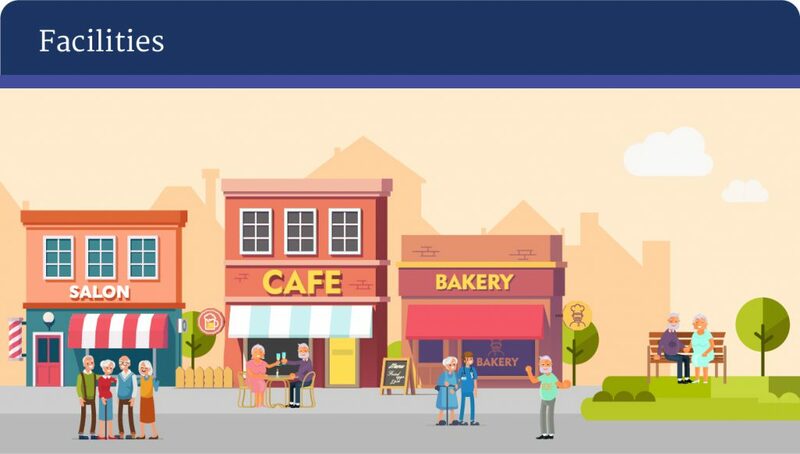 Residents, even if they’re away from the village, have access to 24 hour emergency call systems, so support and care staff can be alerted to any issues immediately, ensuring a swift response at all times. The design of a retirement village property is an exciting challenge which can take cues from other care options as well as typical, everyday homes and locales. Good, thoughtful and relevant design can boost a potential resident’s initial impression of social care, which will also be innately improved by the nature of a retirement village itself. These design principles will then go a long way towards improving the quality of later life for residents – which is, by far, what’s most important. At Aedifice Partnership, we manage new care and retirement village construction projects throughout the UK. For further details on the services Aedifice Partnership offer, visit www.aedifice.co.uk or call 0800 151 0234.